Check out this infographic which summarises what to do when someone has suffered a stab wound. Right click on the image to make it bigger. Print it out and put on the wall to help people remember this life saving treatment protocol! 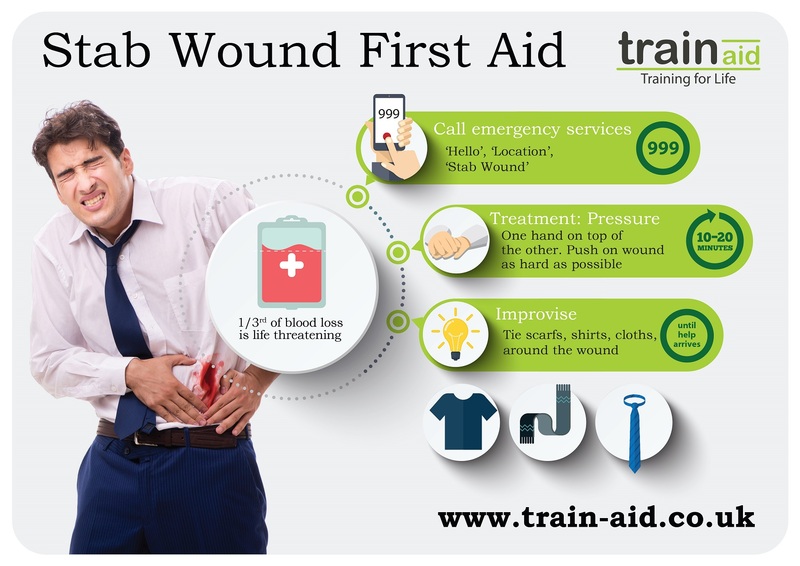 You can find the full information about stab wound first aid within this blog post.